July 27 – Saturday morning Frank and I rode from Houston about 210 miles to Boerne, Texas to attend the Celebration of Life ceremony for our longtime friend and fellow motorcyclist, Phil, who lost his life to cancer last weekend, Phil was the epitome of biker. He loved riding more than anything, except for maybe his girlfriend, Jill. We will miss him. Frank and I decided since we were already as far as Boerne, we should go for a little ride to God’s country and ponder life and the hereafter. Phil would certainly appreciate that. We decided on the Big Bend area, specifically, Alpine, Texas, approximately 350 miles. The temperature should be cooler there and, as a bonus, we heard that the 2nd Viva Big Bend Music Festival was in full swing. If all went well, we could arrive by 3:00 and enjoy the last night of music. Rail Road Blues Bar was the venue for a line-up of acts starting at 4:00, which included Folk Family Revival, Thieving Birds and Doodlin’ Hogwallops. The Cow Dog food wagon would be set up outside serving hot dogs. Can’t get any better than that, right! 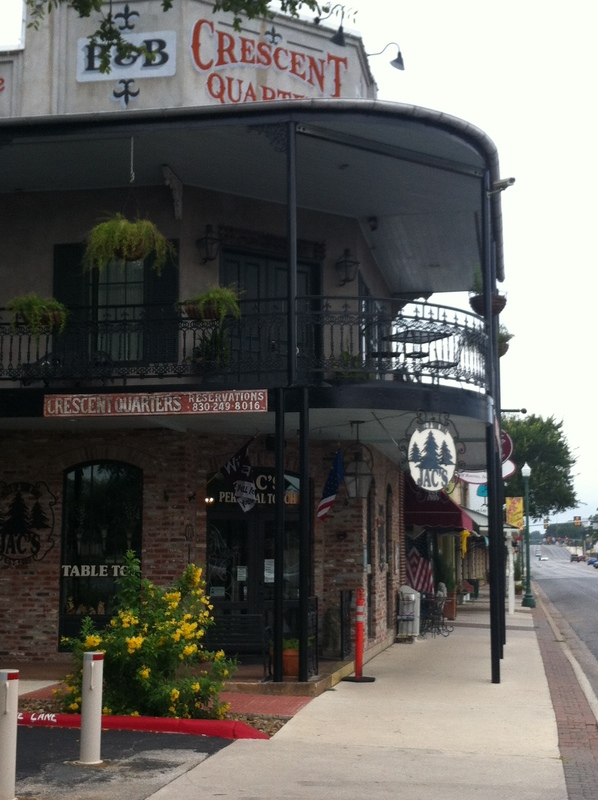 July 28 – After a good nights sleep at Crescent Quarters Hotel in downtown Boerne, we headed out! We stopped in Ozona for lunch and decided to gas up at the next stop. We’d been about 100 miles. Usually I get 210-220 on my tank but we were running about 85mph. The high speed was eating up my fuel faster than anticipated. Little did we know, the next stop was right at 90 miles. My fuel gage ticked down to 10 mile range and then indicated … GET GAS SOON OR YOU’LL BE WALKING. I slowed down to conserve gas and contemplated several scenarios. I wasn’t looking forward to the possibility of sitting on the side of the road but thought how lucky I was that I brought my umbrella and Frank. I could use my umbrella for shade while Frank went for gas. The motorcycle gods were looking down upon us smiling because a gas station appeared out in the middle of nowhere, and just in the nick-of-time, I might add. I rolled up to the pump on fumes. The station had 6 pumps, 4 which were out of service. All I needed was one that worked! My 5 gallon tank took 4.88 gallons of gas. Whew! That was a close call. Tip of the Day: When you riding in West Texas, fuel up every time you get a chance. Gas stations are few and far between. This entry was posted in On The Road Again and tagged alpine texas, boerne, motorcycle travel, motorcycle trip, music festival, texas music festival. Bookmark the permalink.